Many know it as the Ganges River, but in India she is Ganga, and often Ganga Mataji, which means the Mother River of India. At about 2,500km (1,553 mi) long, Ganga is one of the world's great rivers. Ganga begins her great journey high up in the Himalayas and snakes through the great plains of India, past some of the oldest habitations in the world, eventually dispersing itself in hundreds of tributaries as she pours into the Bay of Bengal. At about 2,500km or 1,553 mi long, Ganga is one of the world's great rivers. Incredibly, the Ganga directly or indirectly provides for the livelihood of about one-tenth of humanity. About one out of every 10 people on earth depends on this river, which is as much a part of the mythology of India as it is a part of the ecosystem. Ganga was a goddess born of Lord Vishnu. She was cursed to became a river, but with the special condition that whoever bathed in her waters would be purified of all sins. She was called down to release the souls of the 60,000 sons of King Sagara who died battling the Vedic Sage Kapila. The force of releasing Ganga all at once would have wiped out the earth, so Lord Shiva was called to help. Lord Shiva spread his long hair all over the sky and asked Ganga to fall from the heavens. Catching the waters in his matted hair, he slowly released Ganga to the earth. All along the banks of Ganga, from the source to the sea, there are countless pilgrimages, shrines, sacred cities and spiritual gatherings. The pilgrimage to the source of the Ganga is called Char Dham, which means four holy places, and includes visiting Gangotri, Kedarnath, Badranath and Yamunotri in the Garwhal region of Uttarakhand in the Himalayas. 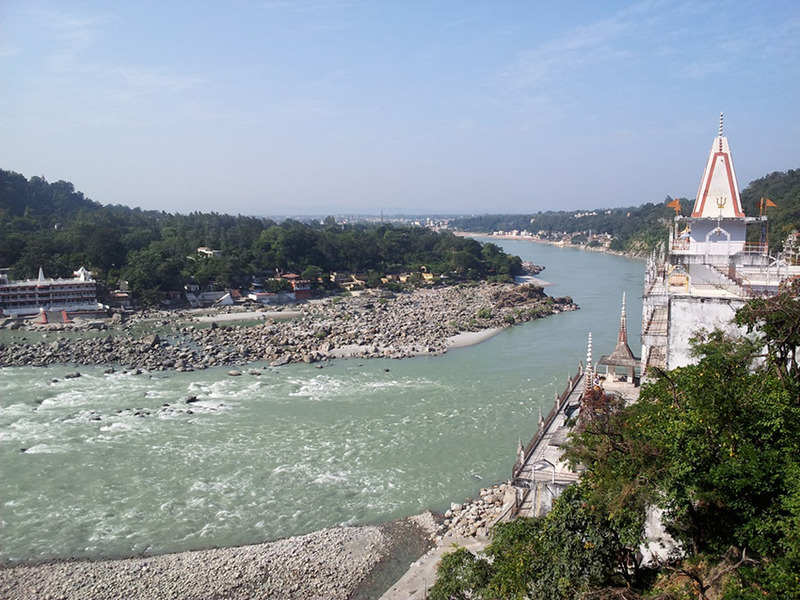 The multiple sources of the Ganges come together at Rishikesh. Photo courtesy Aleksandr Z.  The Ganga has multiple sources, but they all come together and eventually, at Rishikesh, tumble out of the mountains and begin the long and winding journey across the great Indo–Gangetic plain, past Kolkata, to the Bay of Bengal. Rishikesh is a picturesque and spiritually stirring spot in North India that rings with temple bells. Since time immemorial, this serene and beautiful valley has attracted rishis (sages) to meditate on the banks of the milky green Ganga. It still attracts seekers, though these days they are often foreigners taking yoga teacher training courses from one of the many ashrams. About 30km (186 mi) south of Rishikesh, the sacred city of Haridwar attracts pilgrims all year round. 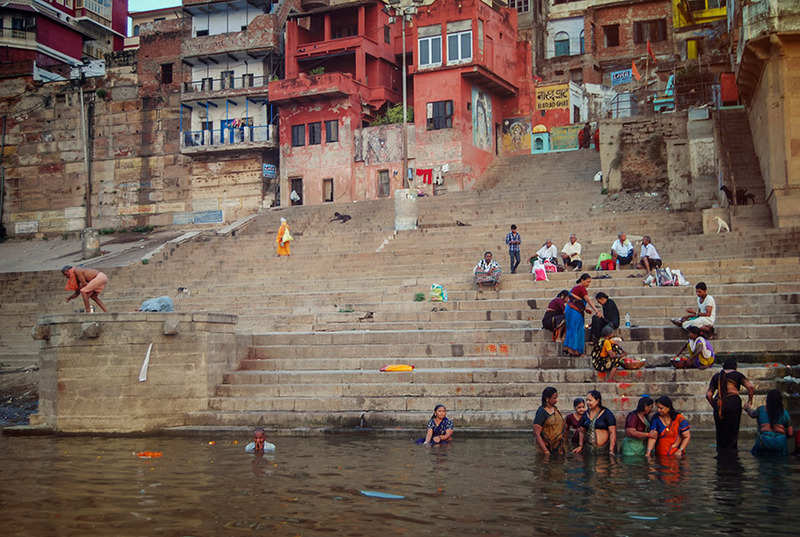 They come to bathe in the river at Har-ki-Pauri, channeled through the city and surrounded by temples and ghats (steps leading down to the water). Here, ancient rituals are enacted each day and the evening aarti (ritual) in honour of the river is performed with great fanfare. Pandits (priests) wave lighted diyas (lamps) while amplified Vedic chants fill the air and pilgrims float offerings on the river. It's at Haridwar where the Ganga enters the plains of India. 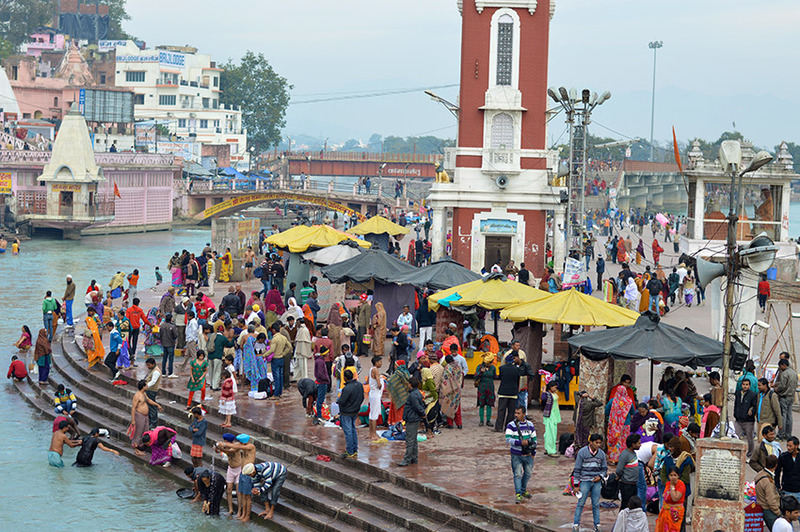 The sacred city of Haridwar attracts pilgrims all year round. Photo courtesy Abigail B. At approximately the halfway point of her journey to the sea, Ganga reaches Allahabad. Here at the triveni sangam is the place where three rivers meet: the Ganga, Jamuna and mythical Saraswati. Every 12 years, the Maha Kumbh Mela is held here — the largest gathering of humanity on earth — an intense spiritual assembly that can be seen from space. Rituals are performed along the length of the ghats in Varanasi. The next notable place on her journey is Varanasi, where Ganga flows north, back toward her birthplace. One of the world's oldest living cities — and the most sacred to devout Hindus – Varanasi's founding is shrouded in the mists of time and myth. Today, antiquity clings to Varanasi's crowded lanes, ancient temples and well-worn ghats, and confers a medieval atmosphere on the city. At Varanasi, Ganga takes a journey through the underworld, for this place is a great cremation ground. Hindus believe that dying at Varanasi, followed by cremation on the river's banks and immersion of the ashes into the river, leads to moksha, and breaks the cycle of life and death. Here in Varanasi, pilgrims and tourists alike join a both a sunrise aarti and sunrise boat ride before a spectacular evening aarti to honour the power of the sacred river. All along the length of the ghats, fully 6km (3.5 mi), ancient scenes are played out in a never-ending pageantry. Below Varanasi, Ganga continues on her long journey across the Indo–Gangetic plain, the heartland of Hindustan, passing through state capitals, sacred cities, rural communities and rich farmland before reaching Kolkata, the former capital of the British Raj. At Kolkata, Ganga is known as the Hooghly, and the river's banks are shared with industry and shipping as she nears the sea. Below Kolkata, Ganga passes through Bangladesh where she is joined by the mighty Brahmaputra River, and several other streams and tributaries before fanning out through a massive delta region of innumerable channels to the Bay of Bengal. This region features a vast stretch of tidal mangrove forests and swampland called The Sunderbans, designated a UNESCO World Heritage site. The Ganges River leaves its mark on the people who are connected to her shores. Photo courtesy Siddharth B. For spiritual, cultural and environmental reasons, Ganga is one of the mightiest rivers of the world. And the best way to experience it, and all the human and animal life that depends on it, is by boat. You can connect with the rhythm of the river and life on its banks, and see cultures that have existed for eons, unchanged. 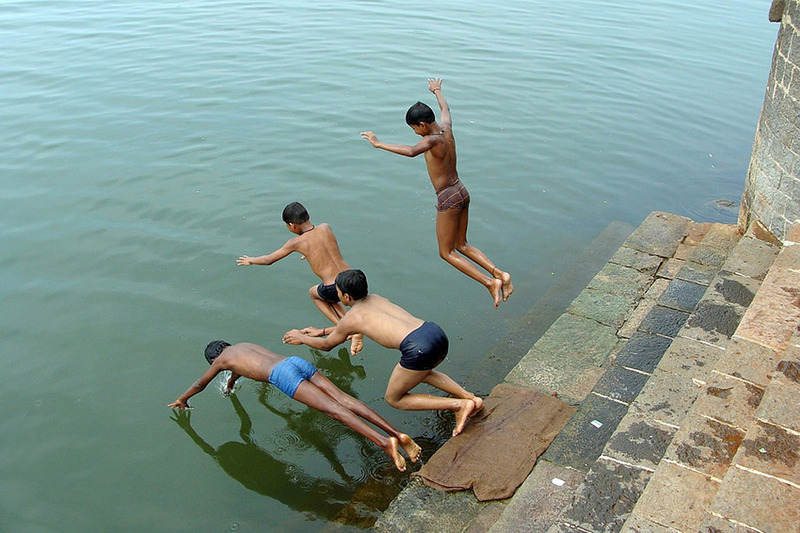 You can join the celebratory rituals that honour the river as the lifeblood of the country. And you can experience for yourself the power of the Ganga's sacred waters, the source of life, the stuff of legend. 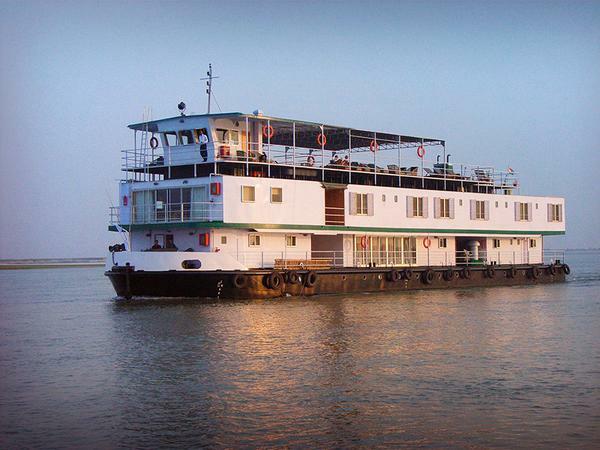 Experience the Ganges on a river cruise. G Adventures runs a number of departures encompassing a wide range of departure dates and activities to cater for different tastes. We’re thrilled at the prospect of showing you this big blue planet of ours — check out our small group trips here. Watch the sun rise over Bagan's stunning Buddhist monuments and bucolic countryside.